Jürg Frey was born in Aarau in 1953. After studying at the Conservatoire de Musique de Genève in Thomas Friedli’s solo class, he began a career as a clarinettist. Later his composing activity became increasingly important. He was subsequently invited by various institutions to give workshops, lectures and retrospective events about his work. He has been a guest at the Berlin University of Arts, at Dortmund University, and several times at Northwestern University, Evanston, Ill. and at the California Institute of the Arts in Valencia, CA. Important stages in his public activity and his compositional development were his concerts and collaborations with the pianist John McAlpine from Cologne, with Radu’s w.i.r. (Vienna), the Bozzini Quartet (Montréal), the QO-2 Ensemble (Brussels), the performance group Die Maulwerker, the incidental music ensemble, the Chicago based a.pe.ri.od.ic and the American pianist R. Andrew Lee, and the UK pianist Philip Thomas. Jürg Frey has received invitations from renowned institutions such as MaerzMusik (Berlin), the Rheinisches Musikfest (Cologne), Interpretations (New York), the Centre Culturel Suisse (Paris) and Constellations (Chicago). In 2010 he was the guest composer at the Other Minds Festival of New Music in San Francisco. In 2015 he was the Composer in Residence at the Huddersfield Contemporary Music Festival (UK). He has particularly often been the guest of small, creative concert organizers such as Klangraum Düsseldorf, music we’ d like to hear (London), Ny Musik Boras (Sweden), The Dog Star Orchestra (Los Angeles), heim.art Neufelden (Austria) The Miniaturist Ensemble (New York), Klang im Turm (Munich) PianoLab.Amsterdam, a.pe.ri.od.ic (Chicago) and the wulf (Los Angeles). 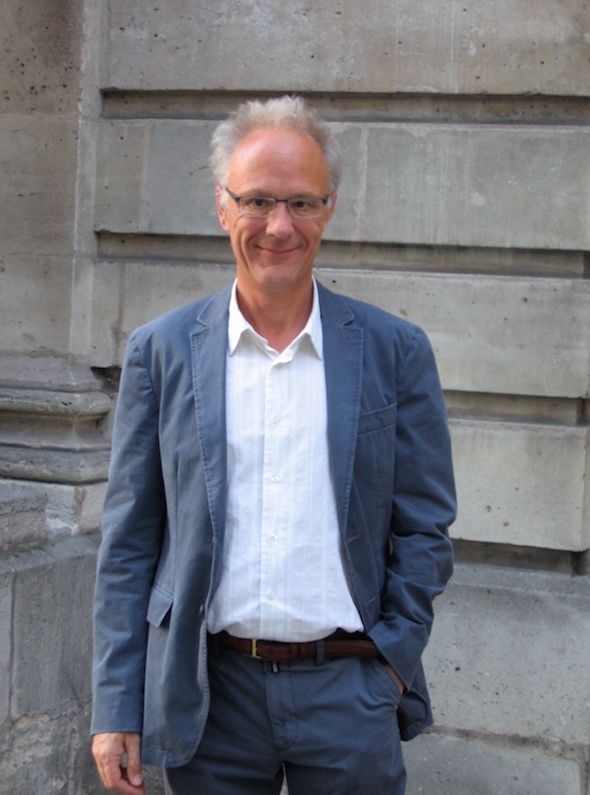 Jürg Frey is a member of the Wandelweiser Komponisten Ensemble that gives concerts in Europe, North America and Japan. Standing Waves is a monthly music, sound, and artists talk series with a concentration on one artist in the performance of and presentation about their work. Standing Waves is given over to a single artist for each event that allows for the performance and auditioning of their work as well as a presentation to the audience about it that makes for an intimate as well as rigorous experience, with the integrity and intention of the artist and work aligned and revealed. A distinguishing element of the series will also be a document in the form of a book that includes critical writings and photographs from the events. This comprehensive approach will elucidate the music, sound art and practices that overlap and comprise the artists’ works. It was originally conceived by Morgan Evans-Weiler and Mobius Artist Jed Speare. This concert is made possible through grants provided by the Cambridge Arts Council and Pro Helvetia.